As Lasallians around the world prepare to mark the canonisation of Blessed Solomon next month, an illustrated biography has been produced to help teachers as they prepare classes to mark this historic event. "In the whirlwind of the French Revolution: Brother Solomon Leclerq" was written by Br Mario Chiarapini fsc with illustrations produced by Carla Pollastri. There is also an accompanying booklet which includes more information on his life. Many Lasallian colleges across our District have inter-school houses named in honour of Blessed Solomon who worked for several years as a teacher in schools throughout France in the 18th century. He will be canonised by Pope Francis in a ceremony at St Peter's Square in Rome on 16 October. 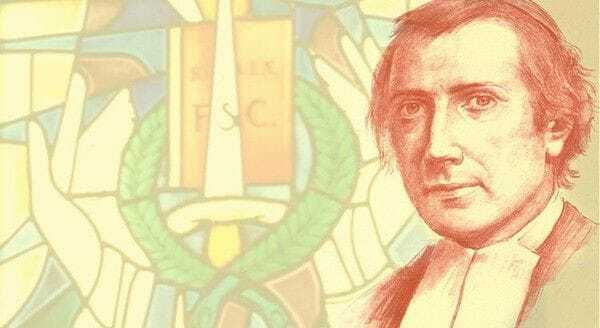 He was the first De La Salle Brother to be beatified and his feast day is celebrated on 2 September. The declaration of the miracle in this case paved the way for the Canonisation of Brother Solomon.